Parts can be created from items in the current (host) model, or from elements in a linked Revit model. In both cases, the ‘source’ or ‘parent’ or ‘original’ element is defined in a LinkElementId object. 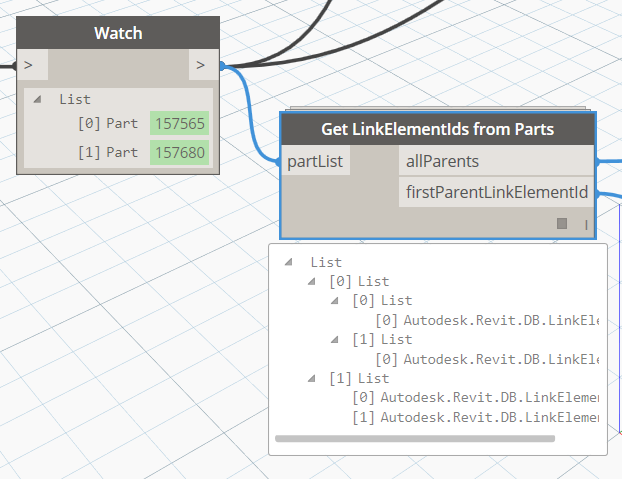 This node lists the LinkElementId objects for Parts that are input. To determine whether they are from a Link or from Host elements, the LinkElementId object needs to be queried.